Why should casino affiliates care if brands have fully functional random number generators? Gambling is all about chance whether it’s rolling dice, shuffling cards or spinning a slot machine. Casinos have various formulas to ensure that games have an element of randomness to them. Even in games where the player’s strategy comes into play like in card games, some aspects are still random. When you log into a web-based casino, you expect the same treatment. Online casinos use random number generators to ensure fair play and give players a similar experience as land-based casinos. RNGs are a bit complex to grasp, but it is important to know what it means for a casino to have one. An RNG is an application that derives seemingly random numbers that are used in determining the outcomes of online casino games. In theory, the randomness of the figures means that they are impossible to predict, which is what constitutes fair play. The casino and players cannot rig the system to favour certain outcomes. Brick and mortar casinos have the advantage of physical elements that influence randomness like spinning a wheel or shuffling cards. An RNG works by mimicking such activities to come up with results that are as random as possible. Random number generators are designed differently. The ones that online casinos use are called pseudo RNGs, meaning that they are not ‘true’ number generators. Computational RNGS are viewed as not true because they base their outcomes on a set of particular numbers. A casino algorithm is used to generate a seed value that the software gets from certain repetitive actions of the computer such as mouse movements, on-going operations and keystrokes. The fact that the seed value is dependent on recurring actions is what makes it difficult to come up with numbers that are truly random. This type of RNG doesn’t require an outside input to come up with the seed number, which is generated every millisecond. Pseudo-random number generators rely on mathematical computations, and there is nothing unpredictable about using a formula to find the answer. Although it is extremely hard, the use of mathematical computations to generate seed values makes these systems hackable. The other kind of RNG is the hardware random number generator. With this option, a device has to be inserted physically into the casino’s system. The device works by collecting environmental information. Elements such as thermal noise, atmospheric sounds and electromagnetic phenomena are gathered from all around to help the system come up with numbers. The lack of a mathematical formula for computing values is what makes this RNG truly random. A person trying to cheat may be able to get one number but predicting the next one in a sequence is impossible. After answering the question ‘What are random numbers generators?’ it is logical to wonder how casinos use them. An RNG is installed into a specific virtual game and works with the existing system. If it’s blackjack, for instance, a casino will fit the random number generator directly into that game. The casino algorithm will then collect data specific to that game like the possible outcomes for each hand. By combining different information, the algorithm then deals out the cards randomly. In slots, an RNG allocates a random number to each symbol of the reel. If it’s a 10-symbol slot with 3 reels, then the RNG will assign 30 numbers picked at random. You can win if you spin and land a set of numbers that make up the winning combination. Casinos must insist on fairness, and RNGs are one way they do that. Given the numerous games in online casinos and the many players they cater to, playing without RNGs is tantamount to cheating. The pattern of play in different games would be easily identifiable, presenting opportunities for the casinos and players to cheat. Results would not be random, meaning that the casino can rig the system to favour their house edge. Both web and land-based casinos must ensure the credibility of their services and RNGs contribute to that. 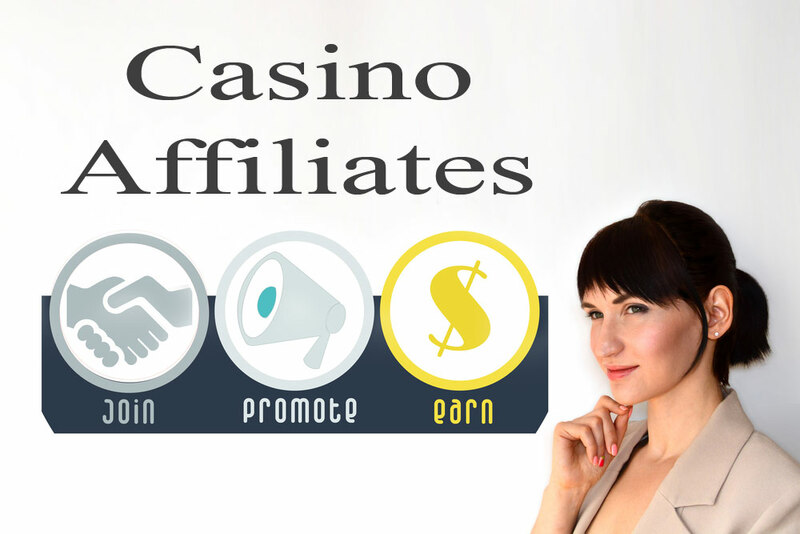 One of the important casino affiliate tips is to make sure that the brands they feature on their websites use RNGs to promote fairness. Any good online casino tips should tell players how RNGs affect the quality of play. The fun of casinos games is the unpredictability of the games, and affiliates have to be sure that a particular online casino provides that fairly.